The seismicity of the Tell Atlas, which extends from the Algerian margin to the South Atlasic fault system, is related to the dynamics of Quaternary basins under an oblique NW–SE convergent stress regime, including the basins of Mleta and L’Habra in the west, Cheliff and Mitidja in the centre, and Soummam, Hodna and Guelma in the east. This seismicity is characterized by moderate to low magnitudes with strong events occurring generally once a decade. Over the last six decades, several moderate, strong and major events occurred that were associated with extensive and severe damage, such as those of El Asnam (1954, Ms 6.7; 1980, Ms 7.3), Constantine (1985, Ms 6.0), Tipasa–Chenoua (1989, Ms 6.0), Mascara (1994, Ms 6.0), Ain Temouchent (1999, Ms 5.8), Beni Ouartilane (2001, Ms 5.6), Zemmouri—Boumerdes (2003, Mw 6.8) and Laalam (2005, Ms 5.8), in addition to numerous large historical seismic events, including those that occurred in Algiers (1365 and 1716, Io = X), Oran (1790, Io = X), Mascara (1819, Io = X), Djidjelli (1856, Io = VIII) and M’sila (1885, Io = IX). 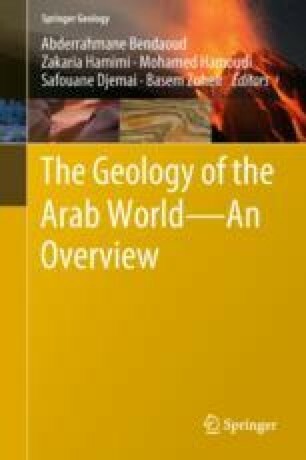 This chapter presents a review of the seismicity of North Algeria and a detailed analysis of the main earthquakes that have occurred in the Tell Atlas since 1980. Finally, the impacts of several significant earthquakes that occurred during the period between 1364 and 2015 are presented and discussed in terms of seismic energy. This study was conducted within the scope of the MEDYNA FP7-PEOPLE-2013-IRSES project, WP-1: Present-day Kinematics and seismic hazards, funded by the Seventh Framework European Programme. The authors acknowledge the support provided by the Instituto de Ciências da Terra da Universidade de Évora (Portugal) and the Centre de Recherche en Astronomie, Astrophysique et Géophysique (Algiers, Algeria), under contract with the Portuguese Science and Technology Foundation (FCT, Portugal), PEst-OE/CTE/UI0078/2011. We would like to thank the Editors, Prof. Abderrahmane Bendaoud and Prof. Mohamed Hamoudi (Algiers University, USTHB), for their help.